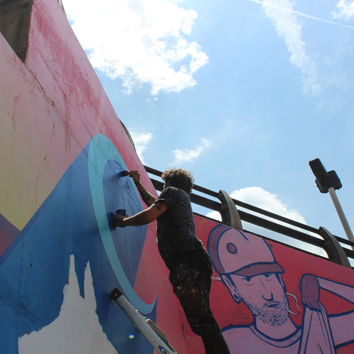 Weaving narrative with vivid hues and at a massive scale, artist Mickael Broth’s Everyone Wants to Leave Their Mark is the Taubman Museum of Art’s newest outdoor mural on view. 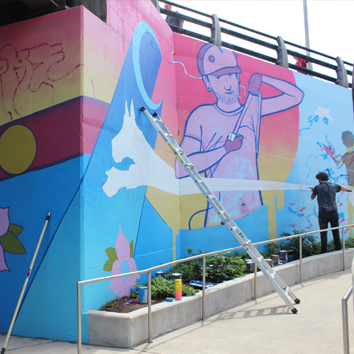 Located adjacent to Morning Brew Coffee Company under the Williamson Road overpass facing Norfolk Avenue, the mural recounts the journeys of Broth’s family and friends in addition to his own experiences, ultimately exploring the human desire to leave an everlasting mark on a transient world. 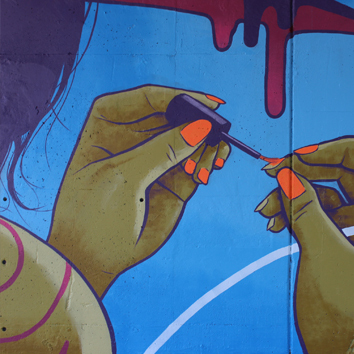 Broth, also known as “The Night Owl,” is a Richmond-based artist, muralist and writer. He moved to his new hometown in 2001 with the intention of painting as much graffiti as possible, but his work was halted abruptly in 2004 with his arrest and subsequent 10-month jail term—his graffiti was considered vandalism at the time. Since then, he has gone on to pursue a successful (and legal) career in the arts. Broth was awarded a Virginia Museum of Fine Arts Professional Fellowship in 2008 for his gallery work and has shown widely around the United States, from museums and galleries to alternative spaces and abandoned buildings. 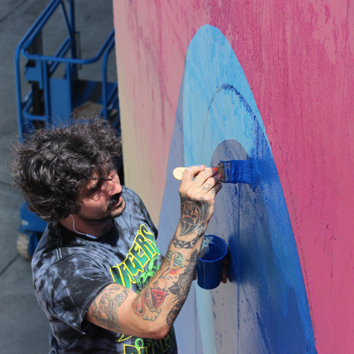 He has painted more than 200 public murals throughout North America and Europe since 2012, in addition to helping curate multiple public art festivals. 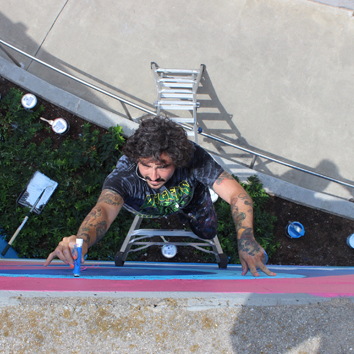 He has been an active member of the community, working with youth groups, as well as leading volunteer groups in the creation of collaborative public art projects. 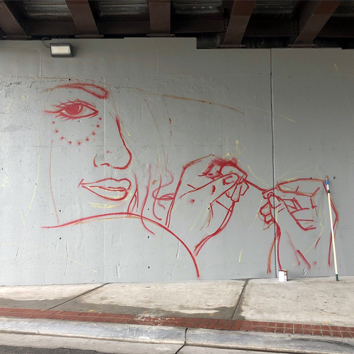 Broth serves on the board of directors for the RVA Street Art Festival and has been instrumental in the curatorial direction of the organization since its formation in 2012. Everyone Wants to Leave Their Mark is organized by the Taubman Museum of Art and curated by Kimberly C. Piland, Exhibition Coordinator, Taubman Museum of Art. 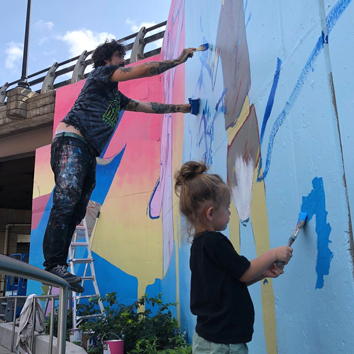 The mural is on view August 15, 2018 through July 2020.